SMS Text Message Templates are now available! 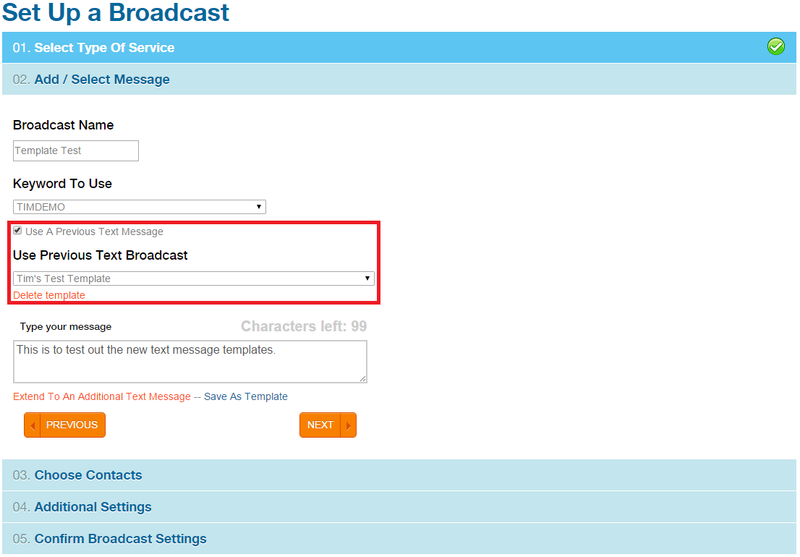 Customers can now send out a text message broadcast and select “Save As Template” to save the message in their account. Unlike the option to send a previous text broadcast, templates are not purged out of the account after 90 days – they remain available to use until the customer deletes them. Step One: While setting up a text message broadcast, type out your message and then below your text you will see “Save As Template” – this will allow you to save your current message for later use. Above Image: Create a new text message template. Step Two: You will need to name your template so that you can quickly select the proper message for future broadcasts. Above Image: Name your text message template. Step Three: Once you have saved your template you are now able to go back and use that same message on a future broadcast. The list of templates will update on your next text message broadcas at which point in time you are able to select it from the designated dropdown menu. 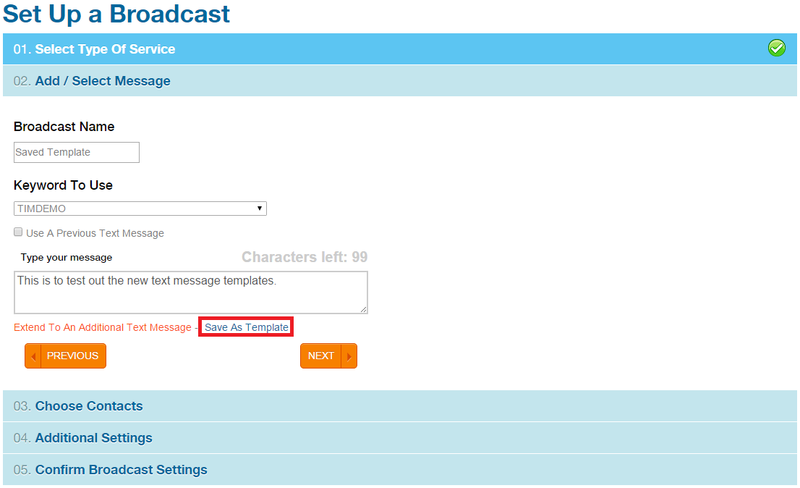 Above Image: Select a text message template to utilize when sending out an SMS broadcast. Currently our text messaging service is only available in the United States – voice broadcasting is available in the United States and Canada. If you have any additional questions regarding Text Message Templates on DialMyCalls, please contact us.